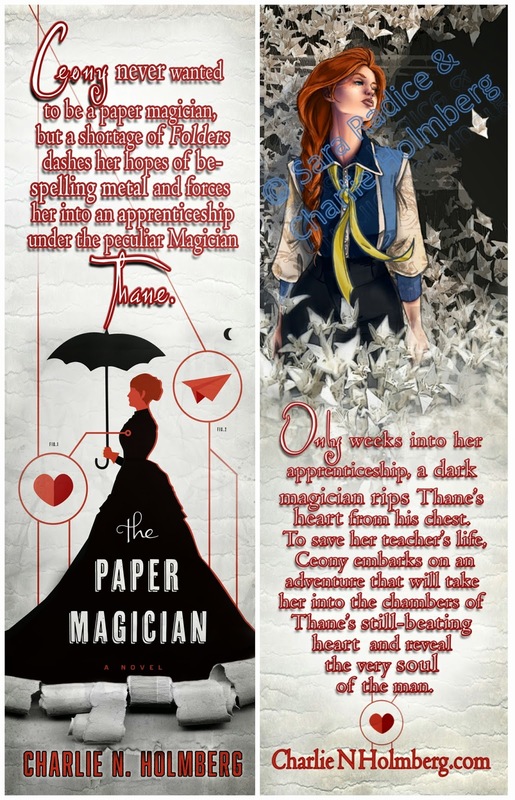 The making of the bookmarks for The Paper Magician was fun, but also ended up being quite a handful! This is namely due to my publisher’s decision to change the book’s cover literally days after the first set had been printed up. But it all worked out in the end. 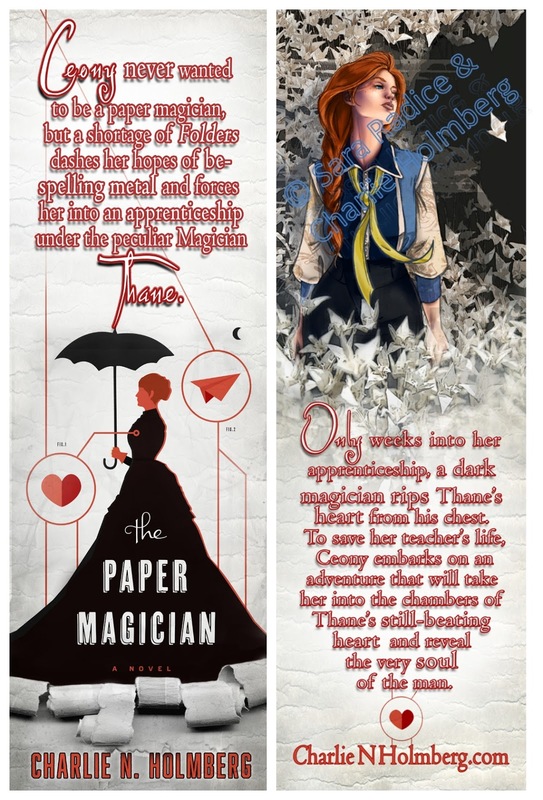 Because The Paper Magician is my debut novel, I had never actually designed a bookmark before. That, and I’m not a designer, so I relied heavily on my friend Sara’s skills. (Sara has also done many a commission for me. She’s excellent.) For the bookmark, we decided to include a picture of Ceony, my protagonist. I sent Sara a description of what Ceony looked like, along with a few references pictures, and then got to work on the text. There is NOT a lot of space on a bookmark for text, let me tell you that. I Googled several bookmark layouts and studied a few designs from fellow 47North authors to get an idea of what I should include. At first Sara and I tried using a logline for the book, but ultimately we went with a very trimmed-down version of the pitch. Trimming that sucker wasn’t the most fun thing I’ve done in my life. ;) I also had to decide what authorly information to include, and ultimately kept it simple: just my website. Then the cover changed, but fortunately we weren’t back to square one. Sara changed the color scheme and had to nix the snowflakes, instead drawing out the diagram-like lines that decorate the second cover. 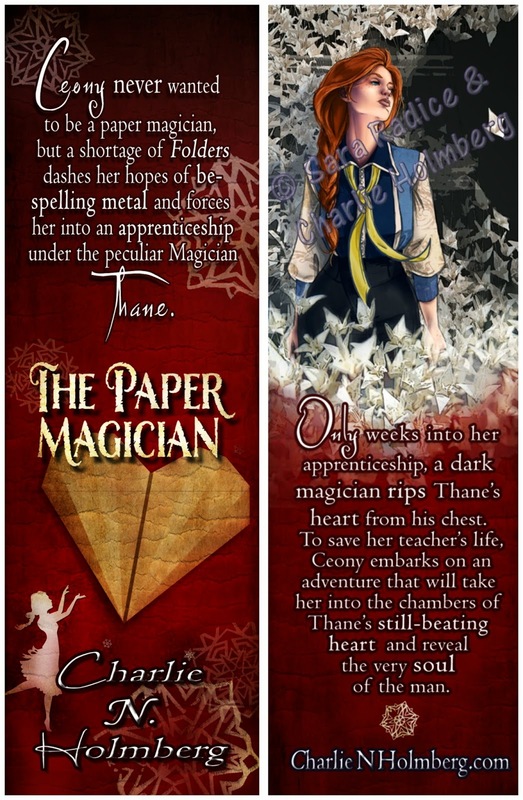 She added some rolling paper effects as well, which I love, and we got bookmark #2! I really lucked out using Sara as my designer, since she also happens to work for a printing company. ;) As for the old bookmarks… we’ll just say they’re collector items.